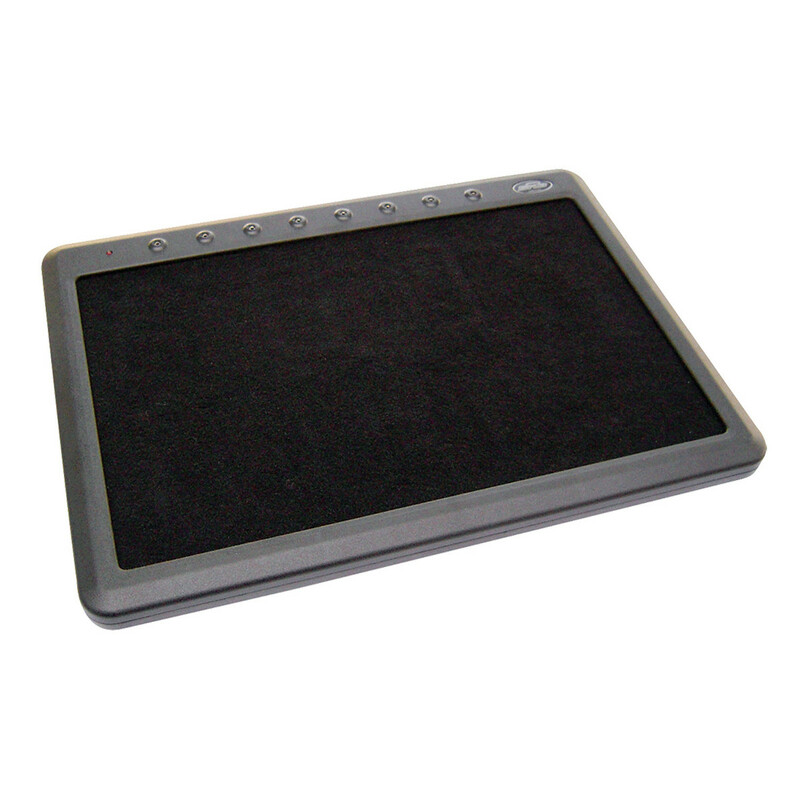 The SKB 1SKB-PS-8 Powered Pedalboard features an injection moulded design, made from eco-friendly rubber modified styrene which provides a rigid and durable yet lightweight platform for a range of guitarist's effect pedals. 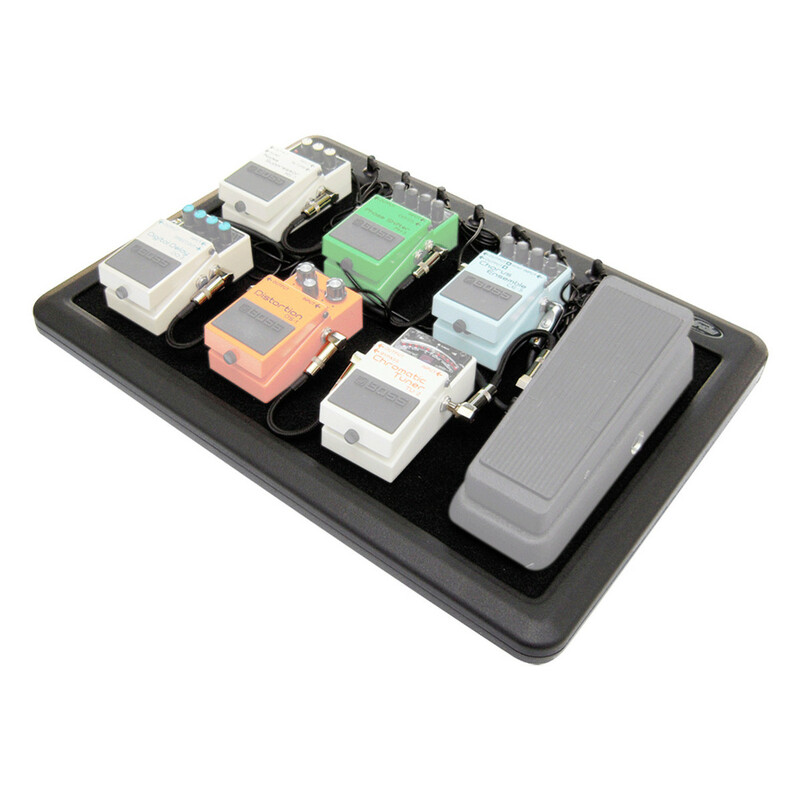 The 1SKB-PS-8 includes eight built-in 9VDC output jacks and an external transformer rated at 500mA of total current. 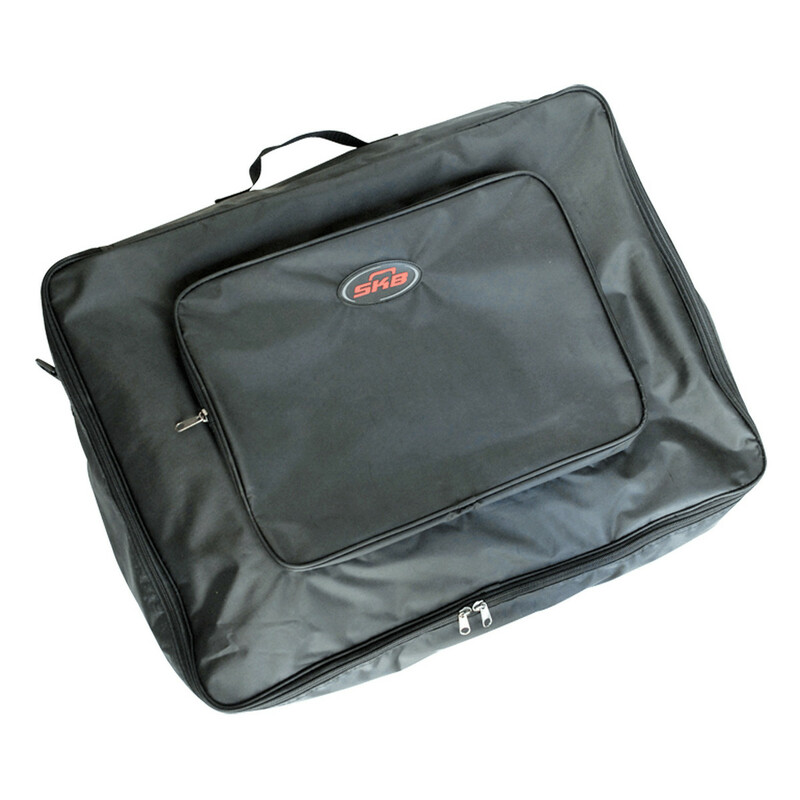 The 19'' x 12'' hook and loop surface provides enough space for you to securely position up to eight standard size pedals. 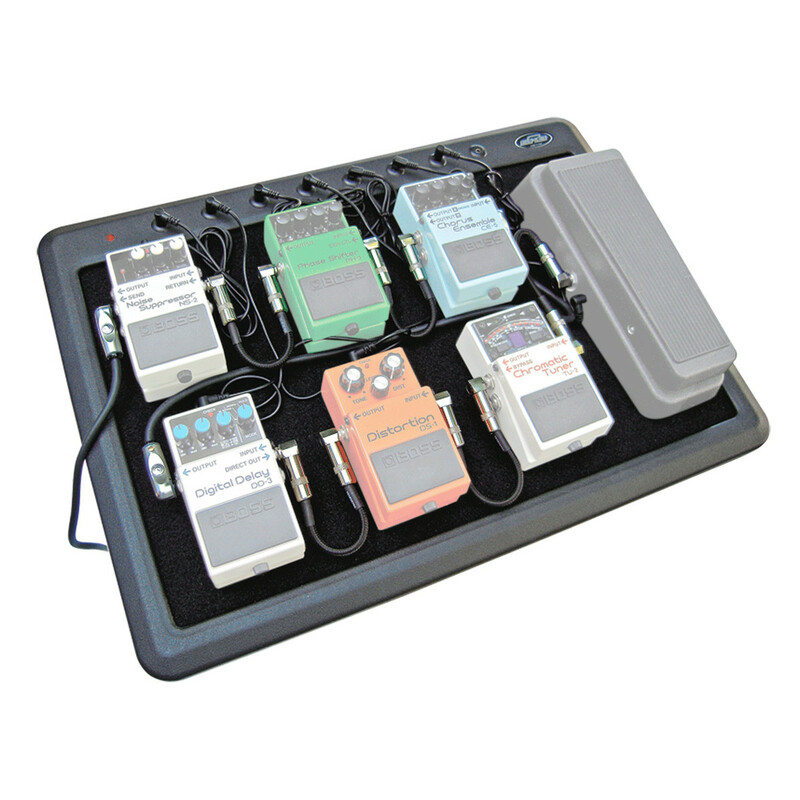 Included with this pedalboard is all the cables for powering the most popular pedals, an EU power supply and a heavy-duty nylon carry case with an exterior pocket and adjustable shoulder strap. Please Note: The images are for display purposes only and the pedals shown are not included with the 1SKB-PS-8 Powered Pedalboard.